CSI’s generous transfer policy allows students to transfer up to 90 credits (grade of C or better). Eligible transfer students may also apply for direct admission to CSI as late as one month before the start of classes each semester. Admitted students benefit from CSI’s experiential learning opportunities, honors and opportunity programs, independent and faculty research opportunities, study abroad, scholarships, financial aid, and luxury apartment-style housing. 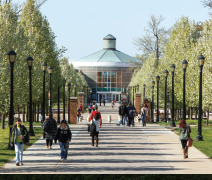 CSI is situated on a sprawling 204-acre campus located in the heart of Staten Island. As the largest continuous college campus (public or private) in New York City, its scenic landscape creates a rural oasis in an urban setting, with picturesque trees, lawns, and gardens. In addition, CSI St. George, the extension of the CSI campus, extends the reach of CSI’s students and increases the ease of access to all the city has to offer with its location at Staten Island’s transportation hub. State-of-the-art facilities are the hallmark of CSI’s campus. Highlights include a 16-foot domed astrophysical observatory, CSI’s very own supercomputer, the 77,000-sq. ft. Sports and Recreation Center, the student-operated radio station WSIA-FM, the Advanced Imaging Facility, an experimental black box theater, and the ultramodern Center for the Arts. CSI also offers exemplary academics. School of Business faculty hold advanced degrees, publish in leading journals, and have extensive real-world experience. The School of Education offers bachelor’s and master’s degrees in Early Childhood, Childhood, andAdolescent Education and graduates students with a 98% pass rate on the Teacher Certification Examination. CSI’s third school, the School of Health Sciences, offers two of CSI’s most academically competitive programs: Nursing and Physical Therapy. CSI’s faculty are highly regarded experts in their chosen fields, and over 90% of our full-time faculty members hold PhDs or the highest attainable degree in their field. In 2017, Professor Fred Naider was awarded the Jakob and Erna Michael Visiting Professorship at the prestigious Weizmann Institute of Science in Israel in order to continue his research related to the HIV-1 virus. Most recently, Professor of English Patricia Smith won the NAACP Image Award for Outstanding Literary Work–Poetry, followed by the Kingsley Tufts Poetry Award and the Los Angeles Times Book Prize, for her collection of poetry titled Incendiary Art, published by TriQuarterly Books/Northwestern University Press. The media have also sought our professors for appearances on television and in print to share their expertise with the public. CSI’s luxury student housing allows transfer students to live in comfort and convenience in the heart of our beautiful campus. Our student apartments are fully furnished and include full-size beds, private bedrooms and bathrooms, and internet and cable access. Housing amenities include a fitness center, computer lab, study lounge, and laundry room. 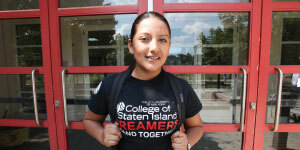 The College of Staten Island offers several honors and opportunity programs. The Verrazano School Honors Program offers students a unique undergraduate education through academically motivated learning communities. The Teacher Education Honors Academy at CSI is designed for select students passionate about mathematics and science who want to teach those subjects to middle and high school students. 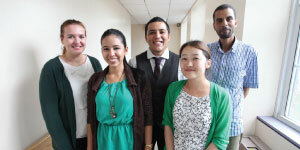 All offer merit-based scholarships. Our CSTEP program offers economically disadvantaged students interested in the STEM fields access to paid internships and research opportunities as well as scholarships. Transfer students with 15 credits or fewer may also apply to our ASAP program, which provides tuition waivers and a free monthly MetroCard as well as career development and academic support services.